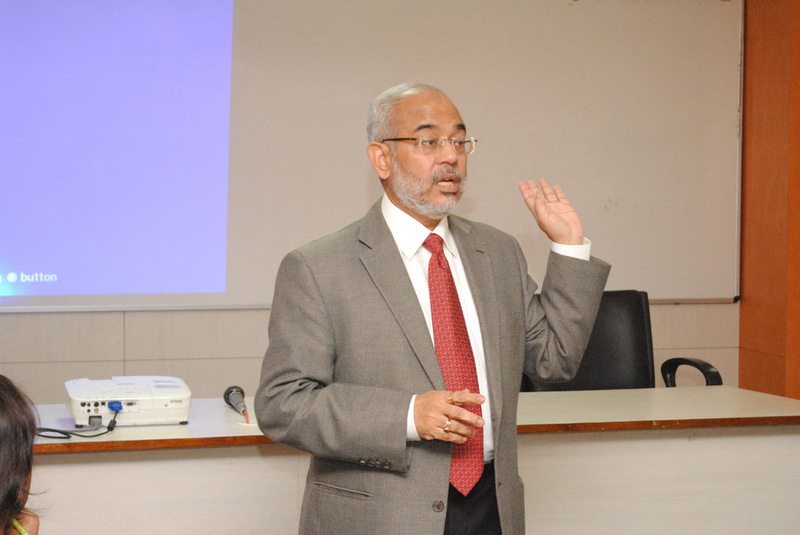 On 27th April, 2015, NSHM Business School organized a seminar and this initiative was aimed at equipping the students with advanced knowledge about financial products like mutual funds and also to guide them about the required skills they should enhance within themselves to be a better employee in the corporate world. Mr. S.N.Bhardwaj spoke about Mutual Funds as an investment option and emphasized on the importance of investing in mutual funds. In the next part of the session Mr. Sandip Ghose, Director, NISM held an interactive session with the students about the need of developing and acquiring skills to be a better and smart employee in the modern corporate world. The Calcutta Management Association extended their support in the process of being in touch with Mr.Sandip Ghose.